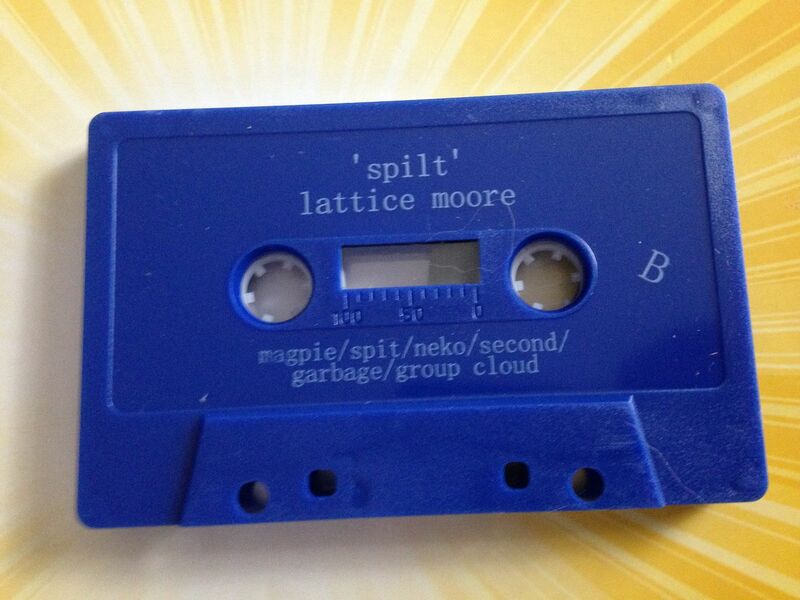 The biggest thing I had to get over with this cassette is the fact that it is called "Spilt" and not "Split" because every time I see it I think it is a split and therefore I'm wondering who the other artist is. 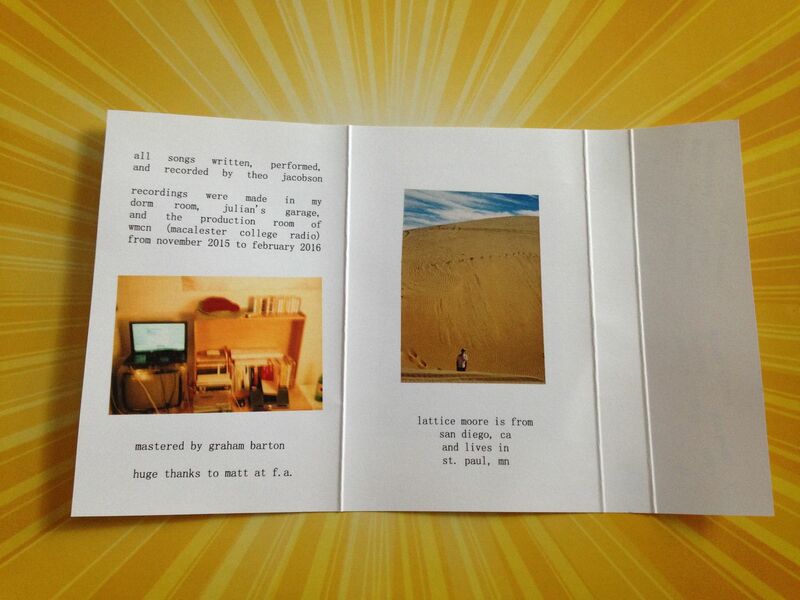 It's one of those mind tricks I suppose, but once you get used to calling it "Spilt" it does begin to make sense, as the artist begins to spill pieces of themselves on the page known as a cassette for all of the world to hear and feel. 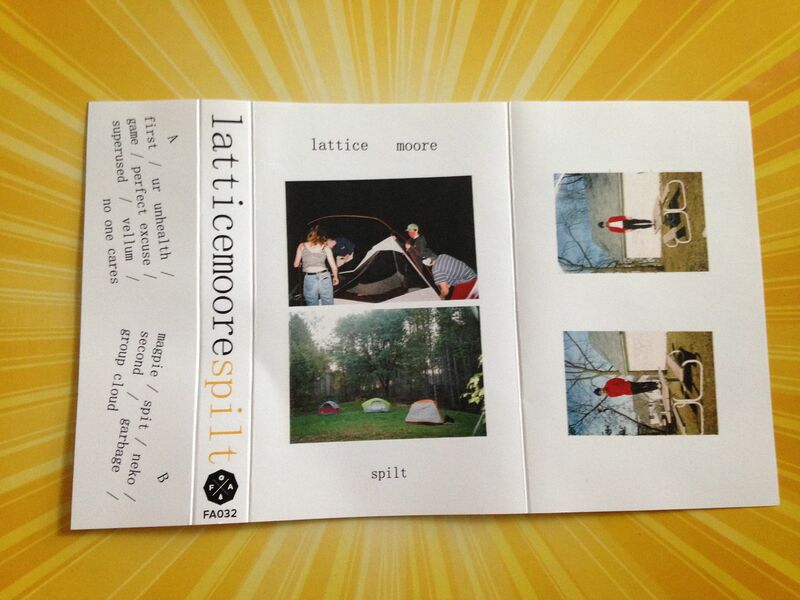 Lattice Moore has the sound of acoustic psychedelics. A little bit of Beck and a little bit of EFS combine to form these sometimes dark acoustic songs about life and its struggles. The harmonies of backing vocals on a line like "No one cares" just echo so true. It can take on a folk aspect on Side B and also remind me a bit of Mudhoney somehow as well because this just seems to have a 1990's feel to it overall. 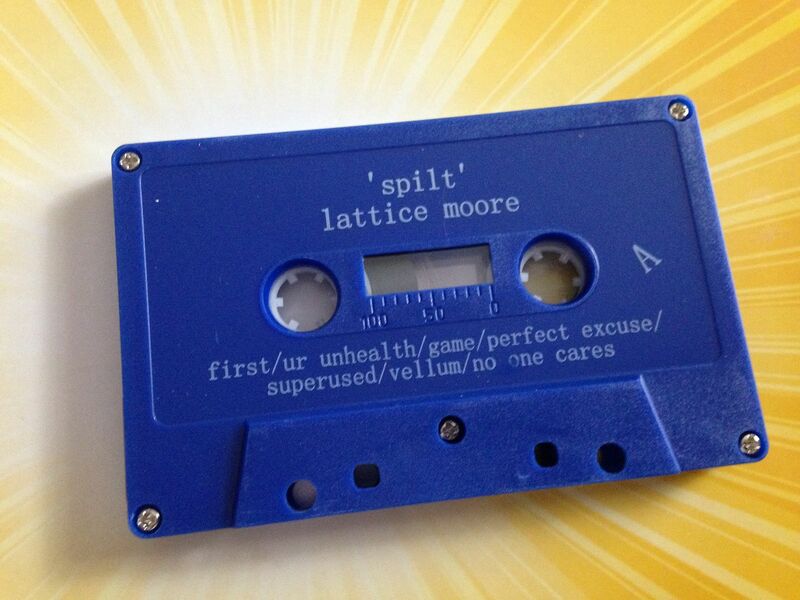 Whether or not Lattice Moore is the name of an individual or a group it remains the same in the delivery by providing a unique voice. It's not only the fact that the vocals have this "kind of sounds like this but doesn't" feel to them, but even the music itself can stand on its own where it has been taken from various sources and produced in a way which I would call its own. It is odd to hear such a thing- musically- because usually I would say something like "This music reminds me of Neil Young but the vocals provide its own unique take on Americana". 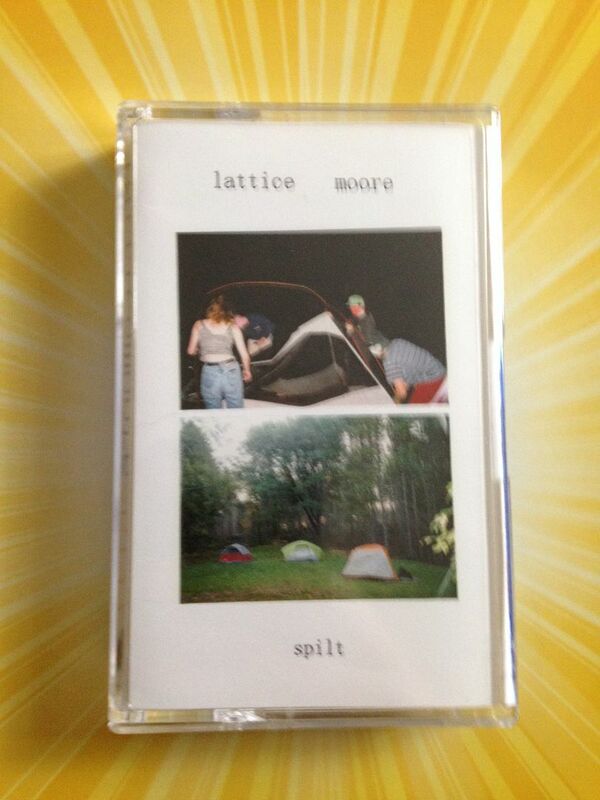 Lattice Moore has not only provided the unique vocals but the style of music is also something that dabbles in other influences but is really without compare. 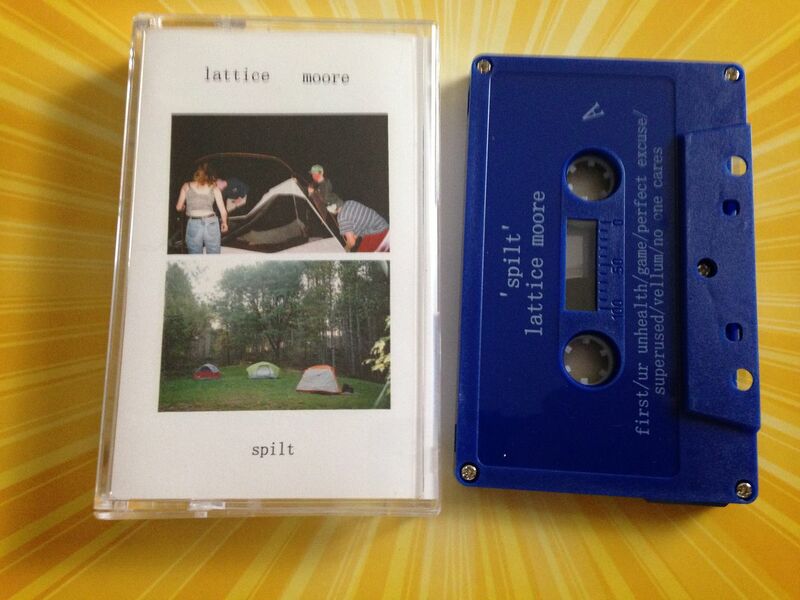 So, if you're looking for something you haven't heard a thousand times before then I would definitely suggest this cassette. From start to finish it is just a quality piece of music.